instead of you, I turned 90 degrees left at any prime. Funny! > A different version of this with simpler rules interested me a while back. > * Start at (0,0) and call it node one. > * Take one step. Call arrival point node 2. > * At node n, turn right (90 degrees) if n is prime, else go straight. > make a pleasant desktop image. 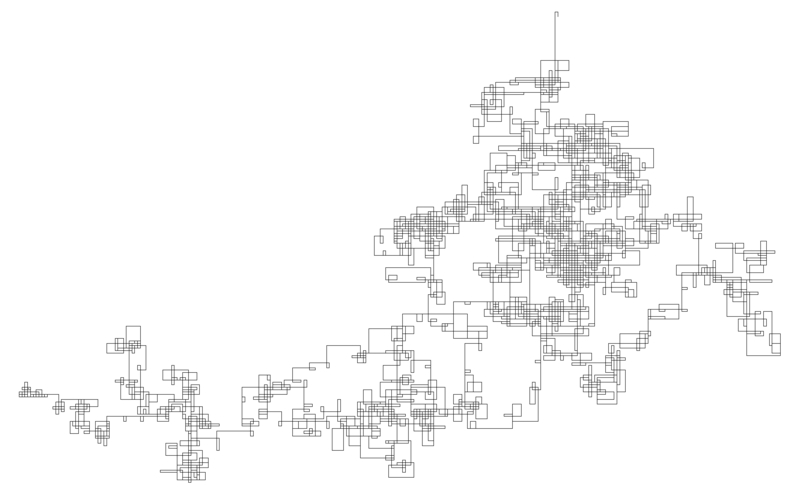 > I, too, am interested in how much like a random walk this path behaves. > mod 4.) How densely does it cover the envelope of line segments it covers?